When creating a REST API, it's always helpful to use a PHP framework. This week we have a list of five of the best. The 7th episode of the php[podcast] is out this week, discussing the Know Your Tools edition of the [php]architect magazine. Christoph Rumpel has a new book coming out soon, Build Chatbots with PHP. Read the first chapter here for free. Plus on the Kingsta blog is the latest PHP Benchmark post. After testing the performance of 20+ platforms/configurations on 5 different engines, see which one came out on top. came out on top. And finally, Confoo takes place next week in Montreal. A multi-technology conference for web developers, the last few tickets are on sale now. Developing an API in plain PHP is time-consuming and error-prone. Thankfully, it’s not necessary. All you need is a great little PHP framework to help you out. Rakesh Patel over at BCW picks out five of the best PHP frameworks for creating REST APIs. Lasagna Code - Too Many Layers? "The object-oriented version of spaghetti code is, of course, 'lasagna code'. Too many layers." It's not the first time I'd heard of this quote. Somehow it annoys me, not just this one joke, but many jokes like this one. I know I should be laughing, but I'm always worried about jokes like this going to be interpreted as advice, in its most extreme form. There are a ton of helper methods in Laravel that make development more efficient. If you work with the framework, I encourage you to see what helpers you can introduce in your day-to-day work. In this blog post, I’d like to point out a few of my favourites. It is great to model something and now we have reached the point where we turn the model into the code. We will implement the model, no persistence, no input, only the most important part - the domain model. The implementation will be supported by tests and we will see how easy it is to test domain objects. We will also discuss the connection to the ubiquitous language and model and practical aspect of object encapsulation. Welcome back to our series on persisted WordPress admin notices. We're now in a good position to be able to extend our admin notice functionality and control when they appear on the page. After that, we'll move on to persistent admin notices and see how you can make sure they're dismissed in such a way that they don't reappear when admin pages are reloaded. The support for Vue.js means that Laravel developers could use Vue components easily within their apps without wasting time in writing integrations for the components. To demonstrate the support, I decided to create a single page application in Laravel with a Vue.js powered frontend. Recently we hit a problem in our Force Login Magento 2 module: The module was not compatible any more with Magento 2.1 due to a change in a constructor of a Magento base class we extended. This broke the DI configuration which in turn meant the module was not installable in a Magento 2.1 project any more. The Symfony Routing component is a general purpose URL matcher and generator. It has zero dependencies, and while it is well integrated into the Symfony Framework, many use it standalone in their PHP apps. In modern Symfony applications, it's no longer recommended to organise your business logic using bundles. However, it was still possible to use the "bundle notation" for example when defining routes. In the Laravel 5.6.0 release Sebastian De Deyne contributed Blade component aliases and then in Laravel 5.6.4, he added a similar feature for Blade include aliases. Let’s go over how you can use both in your Laravel 5.6 projects! More and more I've come to realise that I've been mocking less and less. The thing is, creating test doubles is a very dangerous activity. Recently I wrote the post about reincarnation of popular PHP package for Slack, in which it was told about fork of popular package and about the resumption of support of this package. But there is nothing about its usage. So, today I want to tell about how quickly implement sending of messages to Slack with PHP. One of the hardest (and sometimes frustrating) tasks in a programmer's day-to-day workload is naming things. Luckily, there are tools out there that can be of help. Exakat 1.1.5 has a few upgrades for the reports and several under the hood enhancements. Such updates are important, as they pave the way to more important future updates, though they are usually not visible. This week, we added a new security report based on OWASP, removed the old ‘Devoops’ report, upgraded the ‘confusing variable’ report in Ambassador, added support for the HRtime extension. Ready? Let’s review Exakat 1.1.5. I've been using a PaaS called eZ Platform Cloud recently at work. In general I find the product, based on Platform.sh PaaS to provide a good workflow and great developer tooling. The whole idea of Blackfire is to let you find easily where in your code you face bottlenecks or bad practices in performance management. We just released an other iteration of our call graph views to make it even simpler to read and understand. Rector is a PHP tool that handles 2 things: instant upgrades and architecture refactorings. What exactly Rector does and how does it work? Testing your code is an essential part of the development process, but sometimes it could also be expensive when you try to emulate many uses cases based on a set of different input data. ConFoo Montreal is a multi-technology conference for web developers, with 155 presentations by popular international speakers, focused on pragmatic solutions for web developers. Great content and an amazing experience. Tickets are on sale now. There will be a SymfonyLive again in 2018 - but in May we will not meet as usual in Cologne, but a little further south: in the Phantasialand in Brühl! As always, there will be two days of challenging workshops in Phantasialand on May 2nd and 3rd. On the conference day itself, a track awaits you with talks about Symfony and PHP. The Phantasialand offers us a new environment in which we can hold both the workshops and the conference. In addition, the conference ticket gives you unrestricted access to the park both on the workshop days and in the breaks of the conference! Tickets are on sale now. PHP Serbia Conference delivers high-value technical content about PHP and related web technologies, architecture, best practices and testing. It offers two days of amazing talks by some of the most prominent experts and professionals in the PHP world in a comfortable and professional setting. Early Bird tickets are on sale now. Jake and Michael are joined by the Godfather of Laravel, Ian Landsman, to talk all about hiring developers and the latest platform to do so, LaraTalent. In this episode, Jake and Michael are joined by Cash Money Cowork members TJ Miller and Andrew Del Prete to talk about work, books and movies they've been reading, and controversial topics. Eric and John dive into the Know Your Tools issue for the month of February 2018. Share your thoughts on the topics covered and leave a comment below. New book coming soon. Interested? Let me keep you updated on the development of my book and grab your first CHAPTER here for FREE. Kevin is the owner of WizOne Solutions, which offers Drupal development as one of its services. He is also active in the Drupal community; he maintains several modules, most notably FillPDF, and regularly contributes patches and comments to other contributed modules. He has attended several Drupal events a year, and in general, his involvement has been a good thing for those who choose to work with him. Each year we try and take a deep dive into performance benchmarks across various platforms and see how different versions of PHP and HHVM stack up against each other. This year we went all out and benchmarked four different PHP engines and HHVM across 20 different platforms/configurations; including WordPress, Drupal, Joomla!, Laravel, Symfony, and many more. We also tested popular eCommerce solutions such as WooCommerce, Easy Digital Downloads, Magento, and PrestaShop. It's no longer news that WordPress is the biggest content management system on the planet powering authoritative sites like CNN, New York Times etc. Which explains why WordPress is the bomb: amazing features and flexibility! As the WordPress content management system becomes more popular as the day go by, this increases the number of hack attempts on websites using the platform. When PHP was first developed, its name stood for "Personal Home Page Tools." Today, PHP 5 has come a long way from that original suite of tools. However, PHP is still known for its myriad uses developing websites; in fact, WordPress was written in PHP. The Power of PHP explains why it's a great language for beginners, discusses its many applications, includes sample code, and describes the strengths and weaknesses of each iteration of PHP. Koseven is an elegant, open source, and object oriented HMVC framework built using PHP7, by a team of volunteers. It aims to be swift, secure, and small. PHP Server Monitor is a script that checks whether your websites and servers are up and running. The core of PHP School, the workshop application. This is the library which runs and compares users solutions to pre-defined known working solutions bundled with each workshop. An open-source, beautiful, highly customisable yet deadly simple, and warm community. Customisations for Adminer, the best database management tool written in PHP. This package provides a PSR-11 compatible, annotation-based dependency injection container. Have a look at the disco-demos project to find out how to use Disco. This is a simple OneSignal wrapper library for Laravel. A production ready, battle-tested messaging solution for PHP. 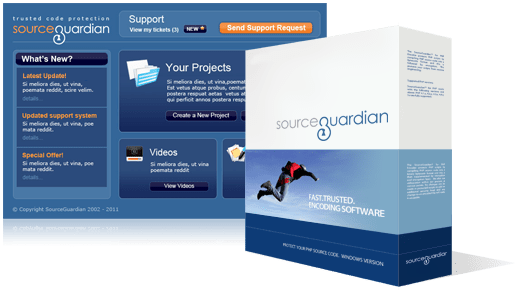 Provides a common way for programs to create, send, read messages. Pterodactyl is the open-source game server management panel built with PHP7, Nodejs, and Go. A general purpose communication server integrated with a web publishing system and a decentralised permission system. OpenEMR is the most popular open source electronic health records and medical practice management solution.